Joy and her husband Kim hail from Mt Barker in South Australia, and as it turns out Joy was the winner of last month’s prize of the Quokka Fire pit. When I called Joy to tell her of her win, we got chatting and I found out more about her, so much so that I was inspired to write this story. 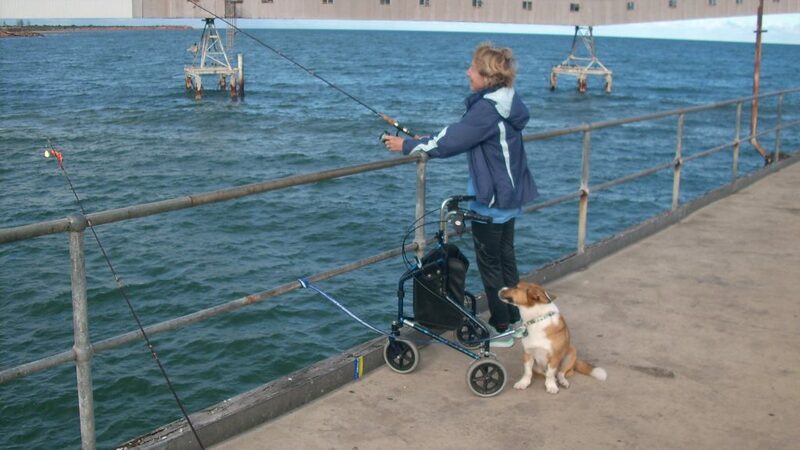 You see, Joy was told only a few months ago, that she may never walk again, let alone go caravanning, but her resilience has seen her defy the odds and not give up, and still enjoy this wonderful lifestyle. Joy has suffered from a long term spinal injury that she acquired some time ago, and although it has been debilitating over the years, she has not let it stop her doing the things she loves most. The priority of which is caravanning with her husband Kim. Equipped with her trusty cane and walking frame Joy makes sure she still gets out and about, taking small trips around Australia and even recently, touring in the USA. However last Christmas she lost the use of both legs and was facing the prospect of being left wheelchair bound, with her only chance of walking again being a multi-level spinal fusion which would hopefully stabilise things. The operation was a risk, but one Joy was prepared to take so she could get back on the road. The good news is, the operation was a success, and although Joy now has limited balance and still needs the aid of her walker, with constant rehab, she managed to undertake a camping trip in April this year and is currently planning her next trip. We tell you her story, not for sympathy, but for inspiration, of what can be achieved with determination and a positive mind set. During our call, Joy shared fond memories of being introduced to camping by her dad when she was a child. It inspired her to travel as much as possible, and she tells me that when she was younger (in her 50’s mind you) she backpacked all around the world. It wasn’t until more recent times that Joy met Kim, another avid camping enthusiast. 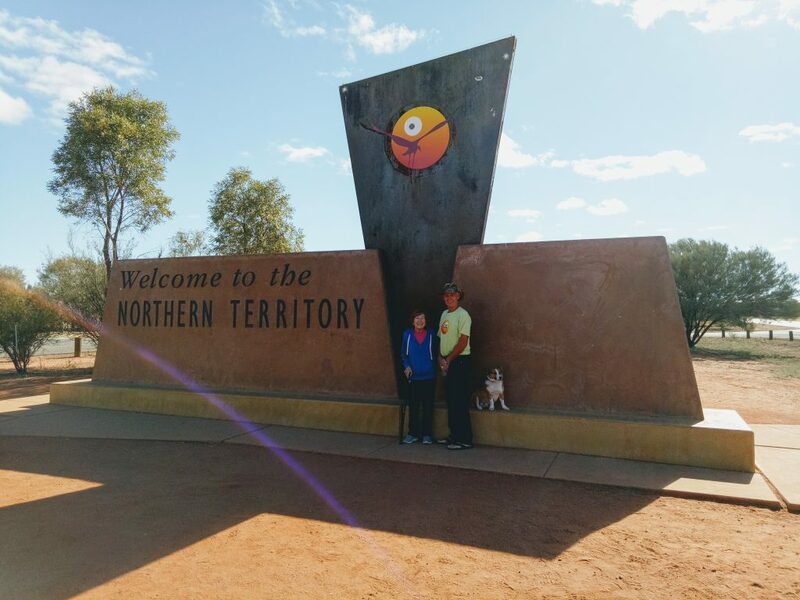 Their first date was a three day trip to Alice Springs, during which time they connected and decided that disability or not, they would one day travel together. Not long after they were off to Thailand, and even though Joy had a walking cane at that stage she still managed to get on a motor scooter and have fun. They promptly went out and purchased the van, a 1980 pop-top caravan, Joy recalls it being quite old, but the good thing was that it didn’t cost them a fortune either. Dog in tow of course. That dog being Tracker, their beloved pooch who went everywhere with them, and had no trouble in winning the hearts of other travellers along the way. Unfortunately, Tracker passed away a few weeks ago and will be sadly missed by Joy & Kim on future road trips. 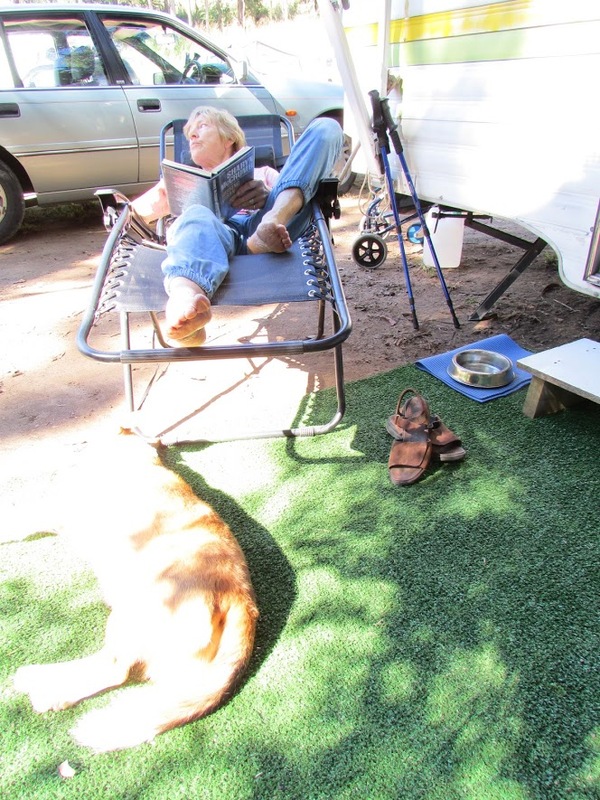 I continued to ask Joy about her adventures…..
Q. How often do you and Kim get away in the caravan? A. 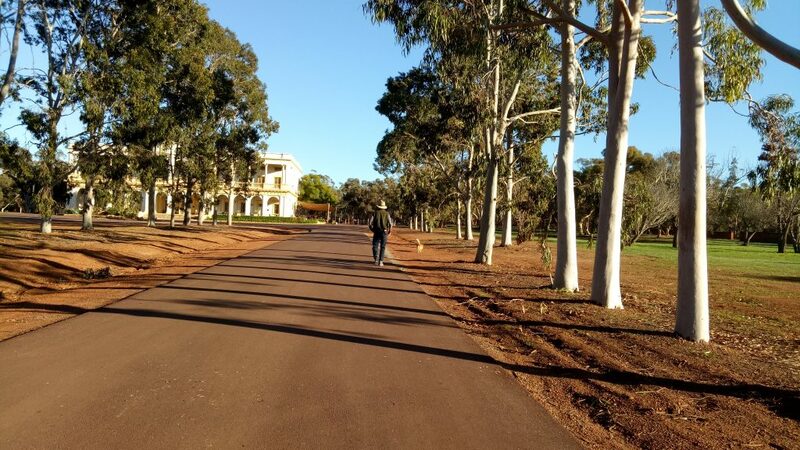 After Kim got it ready, we started off with some small winery trips around South Australia, mainly in between hospital appointments to see if I could manage. Then our first big trip, when we got used to it was to Queensland, that took us about 4 months. 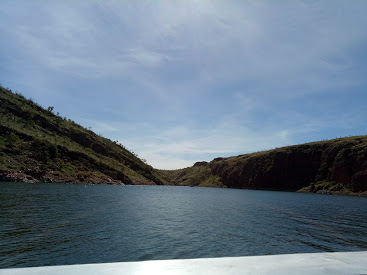 We went via South Australia right up to Cooktown. I handled it really well and felt alive again. 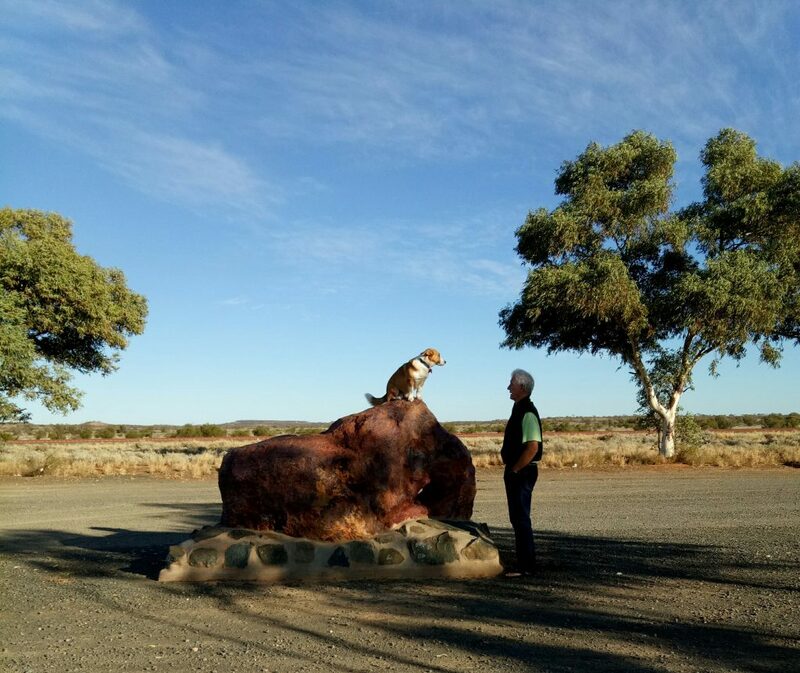 In May last year we went up the middle, via Coober Pedy, Alice Springs and right up to Darwin, then over to WA and followed the coastline back around before crossing the Nullarbor. It took us about two months but it was amazing. 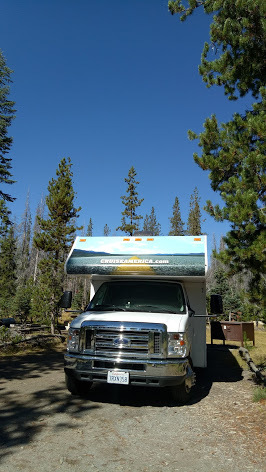 Then in September last year, we went over to the USA, we lashed out and hired an RV and did it in style. It was different to our little van, but in 10 weeks, we covered over 13,000 miles and 30 states, it was an absolute adventure. Q. Now that you have been spoilt with the RV in the USA, are you still happy with you little caravan? A. Absolutely. Kim has made me a platform to help with getting in and out and added a few handrails which are very helpful. He even added an awning which is great to relax under. Q. What has been your most favourite place or experience? A. There are so many, Australia is such a beautiful place, the West Australian coast was amazing, from Lake Argyle to Shark Bay there were so many beautiful locations. But, we really love South Australia, after being around to many wineries around the country, we feel some of the best are probably here in SA. Darwin was also a great experience for us also, we found the people there so friendly, and I particularly loved the rain forest at Mission Beach, the sand was so compact that I could use the walker and walked 2km along the beach every day. Q. What are some of the best things you love about caravanning? A. Exploring and seeing new palaces and experiencing new things, even the simple things like getting water by filling up the bucket with rainwater, it just takes me back to being a little girl with my dad. Also meeting friendly fellow travellers young and old, all wanting to share a yarn. Q. So Joy, it looks like there is no stopping you, where to next? And that sums up Joy perfectly. It appears there is no stopping her and we wish her and Kim all the best in their future travels and hope that this story inspires some of you who may feel restricted by health issues to give it a go if you can. 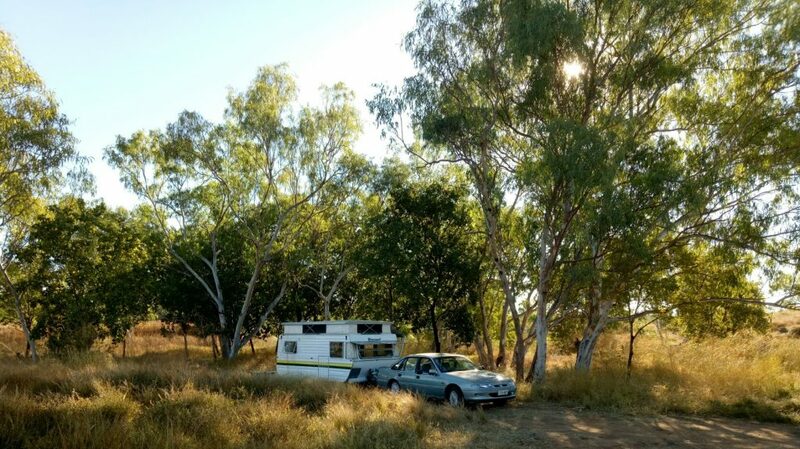 If you have a story to tell about your camping or caravanning adventures, or know someone that has, we would love to hear from you. Just emails us direct at [email protected] and we will be in touch.